Disclosure: In exchange for promoting this camp, I will be provided with a complimentary summer registration for my child through the USFamilyGuide Blogger Network. I will be sharing an honest review after the camp is over, and all views shared will be mine and mine alone. Even though summer is still a few months away, many local community agencies and groups, as well at state-wide camps and such are already releasing their summer programming. My girls keep asking me when sign ups are for the British Soccer Camp, as they have been attending this week-long soccer camp for the past few years and have loved each year. Not only have they learned how to play soccer, but they have made some new friends that they continue to meet up with and play soccer with when the weather is nice. I know many parents are already starting to think about summer camps and programs to enroll their children in once school lets out. Do you have any plans yet? Like I said, my girls will be attending the British Soccer Camp for one full-week for about 4 hours a day. 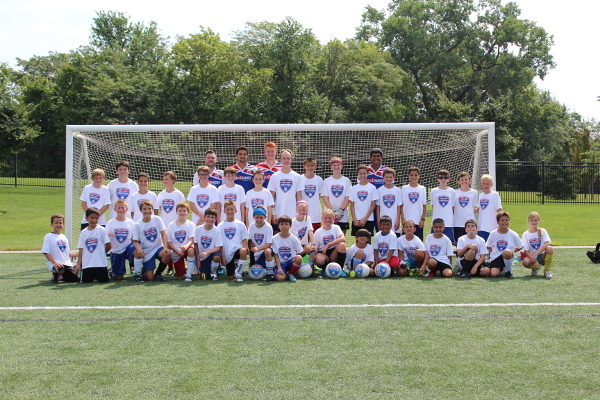 I first learned out this soccer camp after hearing so many rave reviews about this popular soccer camp, which hosts 150,000 campers nationwide each summer, from friends and family, a few years ago. "British Soccer Camps are the most popular soccer camp in the US. With an innovative curriculum that develops skills, speed and confidence in players ages 3-18, The British Soccer Camp provide boys and girls with the rare opportunity to receive high-level soccer coaching from a team of international expert's right in the heart of their own community. 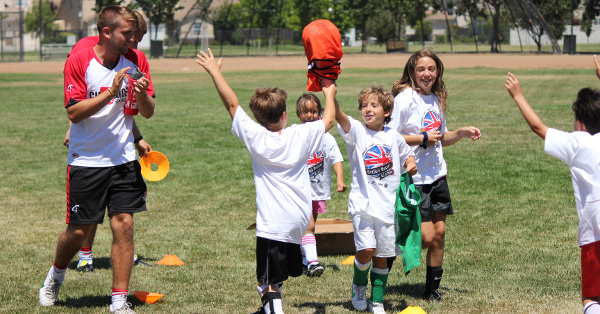 In addition to teaching new skills and improving game performance, each British Soccer Camp provides lessons in character development, cultural education and is the most fun your child can have learning the sport they love!" 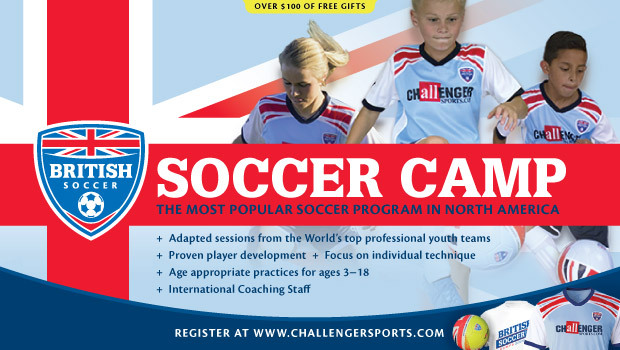 Enroll in the most popular soccer camp in North America! British Soccer Camps have programs for all ages and abilities and feature an innovative curriculum full of skills, drills, and thrills! Register now and you will not only get your free British Soccer game jersey (value $34.95) shipped to you for free immediately, but you will also get our brand new skill development App and 20 videos to help your child practice at home. Your soccer ball, T-shirt & poster will be given out at camp. USE CODE BSC18 at check out to get free shipping. 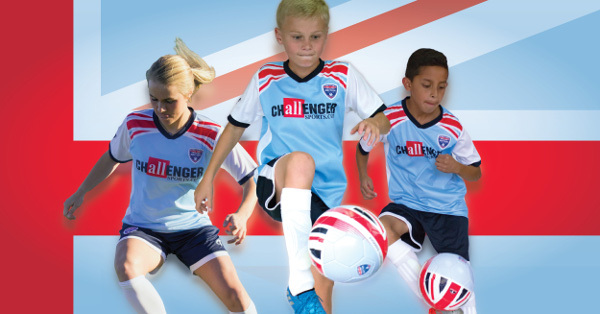 To enroll, visit https://www.challengersports.com/british-soccer/ today. So, if you have a child between the ages of 3-18 yrs. 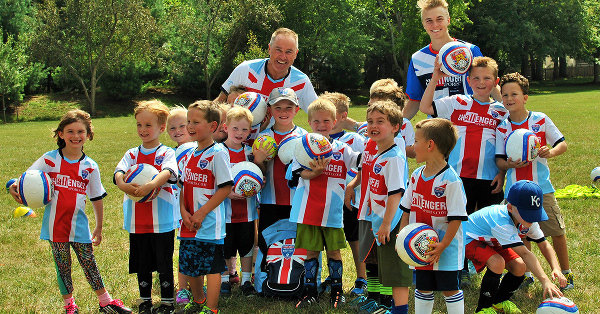 old who loves soccer, or is looking to learn the game or just wants to try something new or make some lasting friendships, why not enroll them in a British Soccer Camp today. And, as a bonus, if you sign up today during early registration, you'll receive some cool FREE STUFF just by entering code BSC18 at checkout. How does a FREE JERSEY, BALL, T SHIRT & NEW SKILLS APP AND 20 FREE VIDEOS sound? You get this all just for registering your child for an upcoming camp session when you visit https://www.challengersports.com/british-soccer/ today. So, what are you waiting for? My girls can't wait for summer, not just because of the warmer weather and less school, but because they can't wait to get back on the field and play soccer and learn more from the wonderful British Soccer Camp staff. To find a British Soccer Camp in your area, or to register during the early registration period, to score the soccer jersey and water bottle, visit http://challenger.mycustomevent.com/content/search. Looks like a good activity for soccer fans!